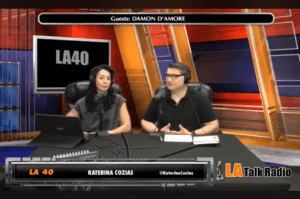 On September 20th I had the pleasure of being interviewed by Katerina Cozias on LA40 Talk Radio. A brief description of the long-form interview is below. You can click on the image or the link underneath to listen or watch the interview. Be sure to check out the show site for more great interview content with Katerina.